Another stone cold country song. 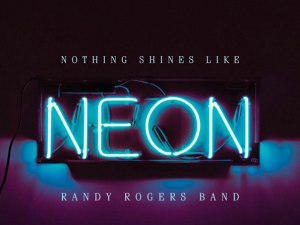 Randy Rogers Band is back with a new song. It’s been working its way up the Texas Chart. I don’t know why these guys don’t have more success on the mainstream chart. I know they’ve had a few good songs make some noise there over the years. I guess the mainstream just isn’t ready for them. Someday they’ll come around. It doesn’t get more country than this one. You’ve got a story song about a girl that is working to get over a love. She’s sitting in the tavern not looking for any sympathy and certainly not looking for any pickup lines from the guys around. She needs that time alone with a few drinks and her thoughts. She needs to work her way through it. Where do you get country songs like this today? Certainly not on the mainstream country radio charts. I guess you get one once in a while, but this song is really another throwback to what country used to be. And I’m glad that lots of folks out there, especially in Texas, love this kind of music. And Kudos to Randy Rogers and the band for doing songs like this. It can’t be easy playing country music like this nowadays and having people tell you that it’s too country and crazy things like that. But everything comes around and this style could come back around someday. I also like the little nod to Steve Wariner in the song. He’s one of my favorites.